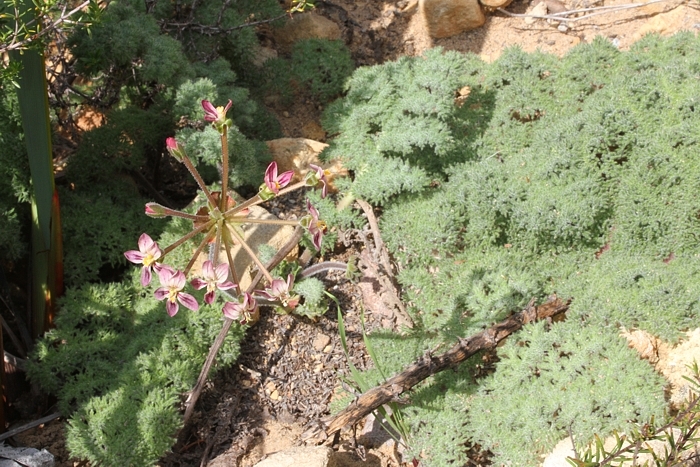 Geophyte with a large tuber, covered with brown scaly bark. Roots tuberous. Exposed stems up to 150 mm long and 5-10 mm thick. Lamina erect to prostrate, oblong ovate, 10-45 x 4-15 cm, at least 2x as long as wide. Segmentation variable, 2-4-pinnately compound, incised to varying depth, pinnae 1-8 mm wide with apices rounded or truncate. Long hairs interspersed with short gladular hairs. Stipules cordate to ovate, 5-8 x 6-10 mm. Unbranched. Pseudo-umbel 6-20-flowered. Peduncle up to 70 cm. 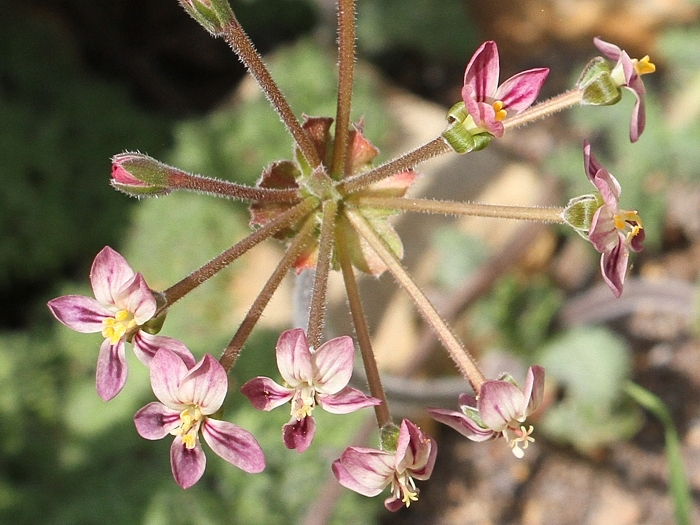 Pedicel 1-4 mm. Flowers fragrant at night. 5, lanceolate. Hypanthium 3-5.5 cm. Dark purple to black with a cream-coloured margin. Subequal, obovate, 4-8 x 10-18 mm. Posterior petals reflexed at approximately 90 deg, anterior ones less markedly so. 7 fertile, four longer, three very short. 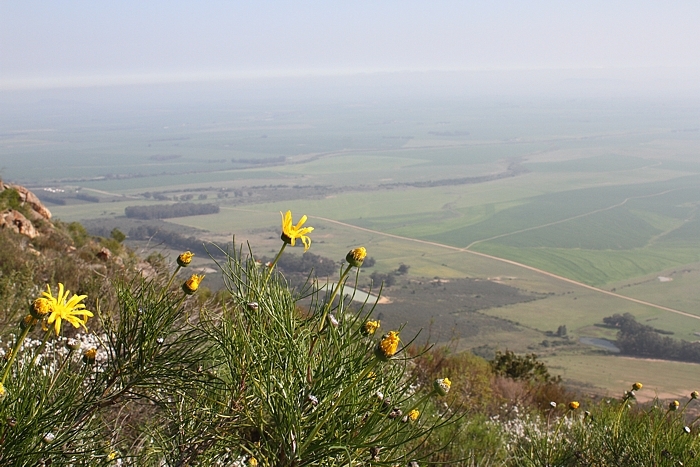 The plant above enjoys sweeping views of Swartland from the top of Dasklip Pass with beautiful mountain fynbos (Othonna sp. at the front). 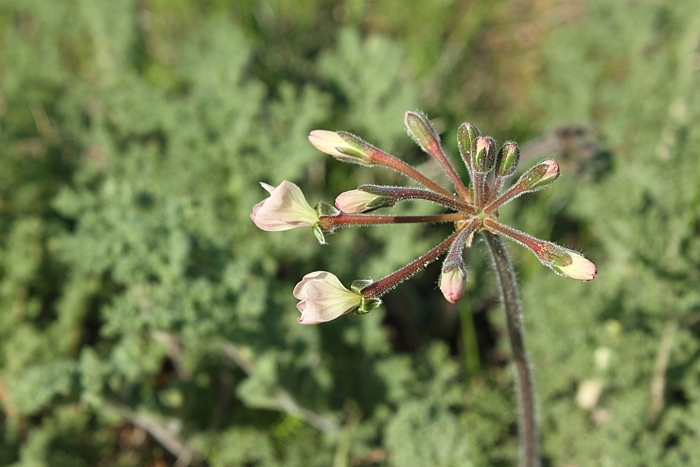 P. asarifolium is fairly common here, and another, fairly unusual Hoarea, and many other Pelargonium species. 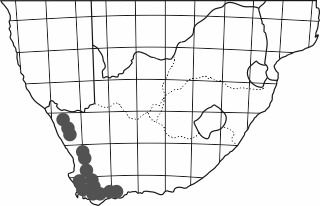 There are few better known large populations of P. triste than the wet meadows of Oudepost Wild Flower Reserve near Darling in Western Cape. P. rapaceum can also be found here. 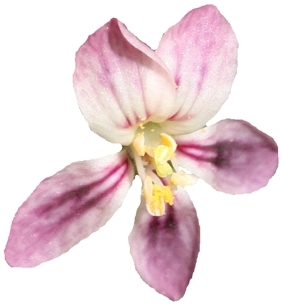 The petals of Oudepost plants are unusually lightly coloured. The above are just about to open for business. 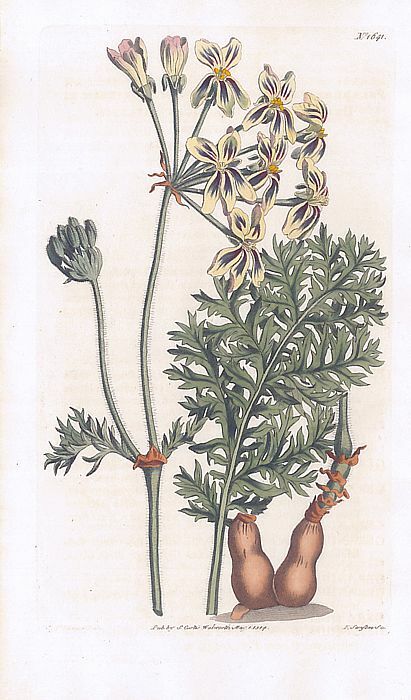 Curtis's Botanical Magazine, 1814, Tab. 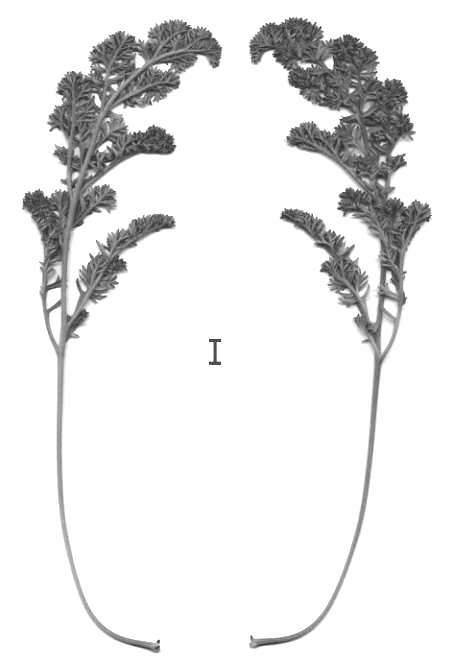 1641.
coniophyllum (Eckl. & Zeyh.) Steud. flavum auct. mult. non (Burm. f.) L'Herit. 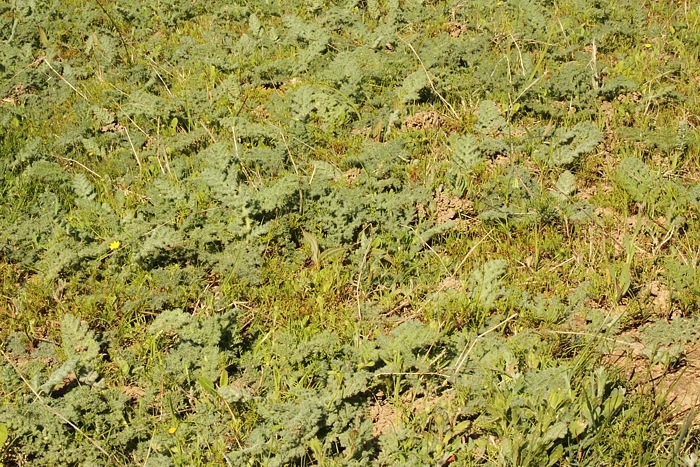 papaverifolium (Eckl. & Zeyh.) Steud.